Currently, around 60 airlines operate about 360 domestic and international air routes at Xi'an Xianyang International Airport, connecting to around 150 domestic destinations such as Beijing, Shanghai, Guangzhou, Shenzhen, Tianjin, Hangzhou, Yinchuan, Xining, Urumqi and so on, and around 50 cities in Asia, Europe, America, Australia and Africa. It is located to the northwest of Xi'an City, about 50 km (30 mi) from city center. 3 terminal buildings are serving passengers at home and abroad. Domestic flights of Spring Airlines and 9 Air Company Limited take off and land in T1. T2 is mainly for domestic flights and T3 serves some domestic and all international ones. There are 10 airport shuttle bus lines to the downtown area. How much does it cost to fly to Xi'an from overseas destinations? There lists the fare flying from hot international cities to Xi'an. The expense from Tokyo to Xi'an is about CNY6,000 - 10,000. The fare from London may be up to CNY 10,000 and some travelers may get cheap tickets of about CNY 5,000. It usually takes about CNY 2,000 - 15,000 from Moscow to Xi'an by air. For the real-time ticket fare and fare for more flights, please search via the box on page top. 1. Taking connecting flights may be a good choice if you have enough travel time. They are usually sold with higher discounts than the direct ones. 2. Avoid the holidays in China like Chinese New Year and National Day Holiday, when the domestic flights to Xi'an are sold with little or none discount. Also, you are advised to travel in low season from November to next March to save money, when the discount is generally 30%-60% off; in high season from April to October, the discount is usually 20%-40% off. 3. Keep close eyes on the fare changes on airlines’ official websites because they will release some special tickets every now and then. Sometimes, the tickets on official websites are much cheaper than those on all kinds of booking Apps. 4. Compare the fares on some booking Apps and the official websites to obtain the cheapest tickets. 5. Take the flights of cheap airlines. But you should pay attention to the luggage limit because cheap flights only provide small luggage allowance. 6. Book the back-trip ticket together, which may save much money for you. Are there flights from Wuhan to Xi'an? Yes, there are several fights from Wuhan to Xi'an. For most airlines, 20kg for check in and 5kg for cabin baggage. This is for economy class tickets. 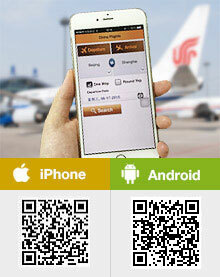 There seems no direct flight, you may need a transfer in Guangzhou or Shanghai. check in baggages all the way through to Vancouver ,Canada from Jakarta ,Indonesia with Xiamen air?? Hi, my mom and my sister will be travelling to Vancouver, Canada from Jakarta, Indonesia - via Xiamen. Is it possible for them to check their baggages all the way through to Vancouver? I am worried about going through immigration upon arrival because they do not have Chinese Visas for the 9hour transit. Your reply is greatly appreciated. Thank you. The airline website says "Passengers taking international/regional flights and transfer via Xiamen to other international/regional destinations with both segments operated by Xiamen Airlines at the same day, are eligible for through check-in baggage at the originating airport and do not need to pick up the checked baggage at Xiamen Airport.". So the luggage should work. If you stay within 24 hours for a transit only (with flight tickets confirmed), you do not need a visa. You can got more information on the airlines website. Tomorrow we have a flight to guilin at 11.35 but we don't know how we can to go there, because any Page mention T3. Is T3 in the same place than T2? What is your flight code and no, with this info, we could help you to check. T3 and T2 are different terminals in Xi'an airport.